St. Boniface school has committed to a ten year relationship with Flavia Naluminsa. 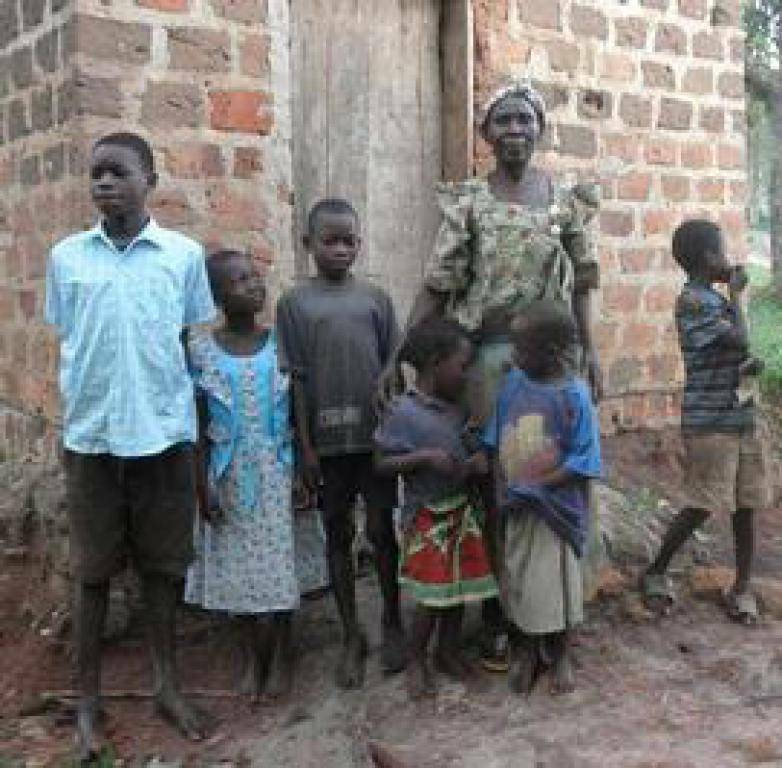 Flavia lives in Uganda, and was orphaned before she was four. Both of her parents died of AIDS leaving her and her brothers to live with their grandmother. 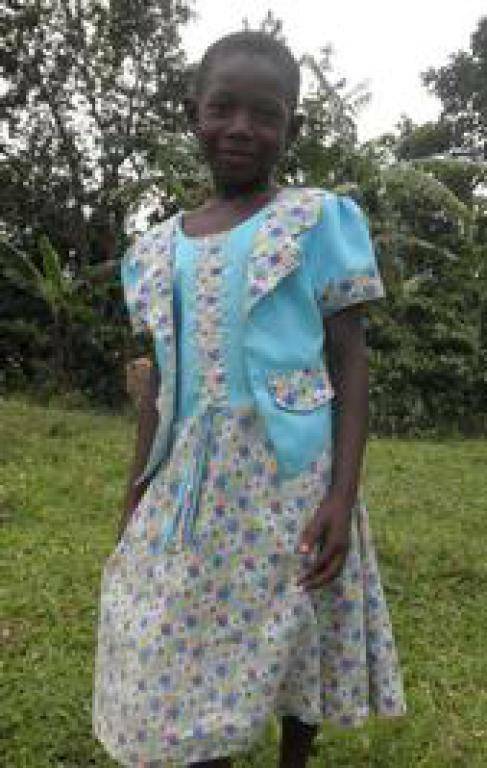 With the help of St. Boniface students, Flavia is now living in a Catholic boarding school; Stella Maris Boarding School in Uganda, Africa. Flavia lives at Stella Maris during the school year and returns home for summer vacation. The ten year commitment to Flavia has provided us as much joy and education as it has provided Flavia. With proceeds from Penny Wars, out of uniform days, and special fundraisers, we are able to meet our $1,000.00 per year commitment. This money goes toward clothing, education, hygiene, medical, and general living needs to name just a few. Students have also made a quilt for Flavia, collected pencils and school supplies for her school, written countless letters and sent many, many photos. We have Skyped with Flavia and exchanged videos; we pray for her at every mass. She is our sister. We love her and will continue to support her through her education. Flavia in 2019 with her brother, Michael. 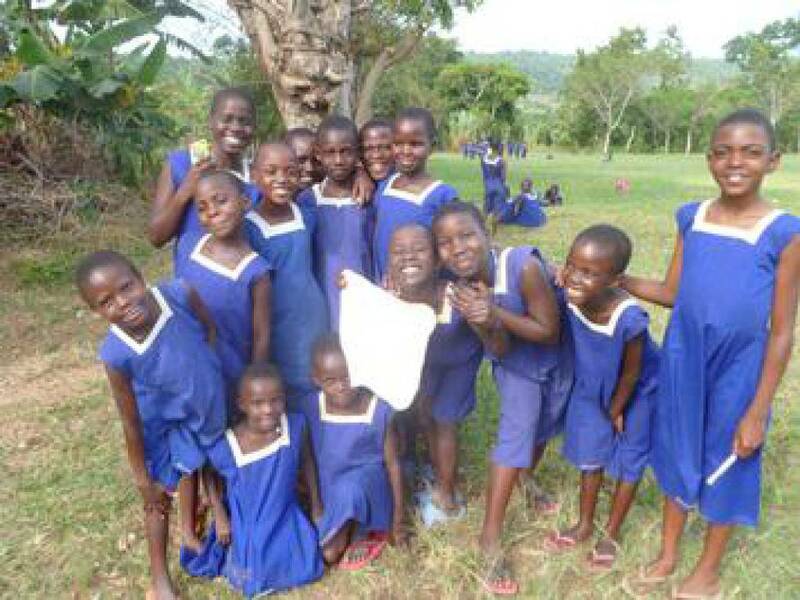 Flavia in 2016 with her classmates, family and the dress St Boniface bought her.